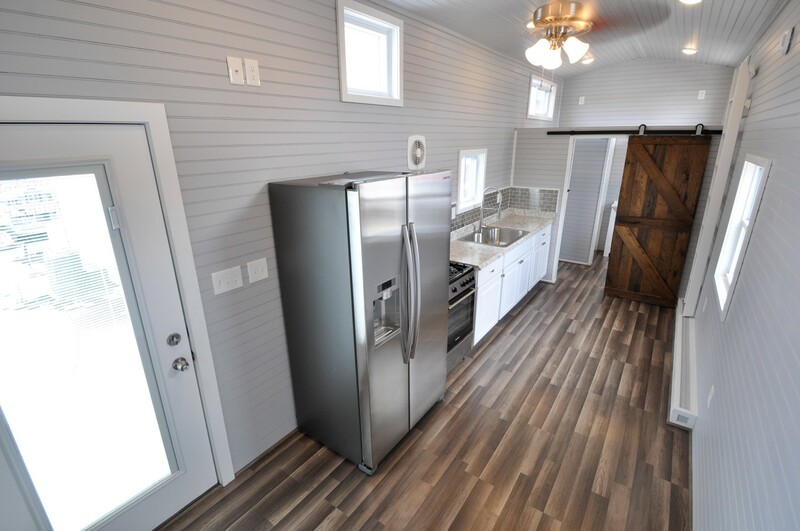 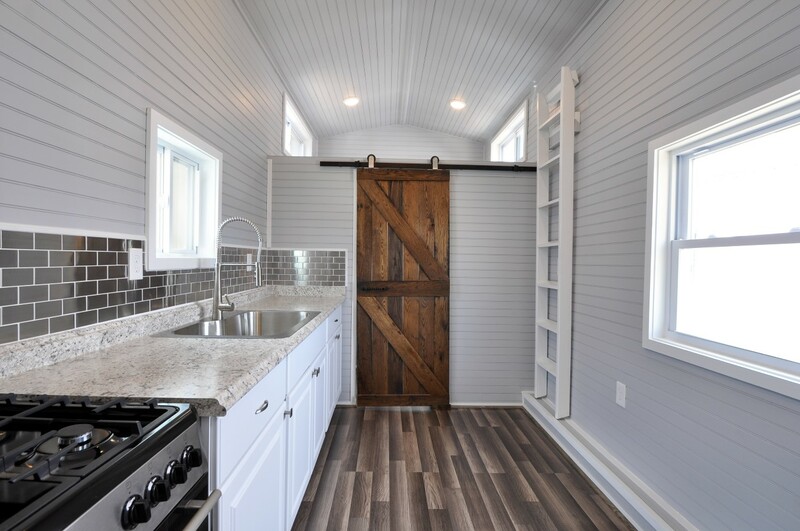 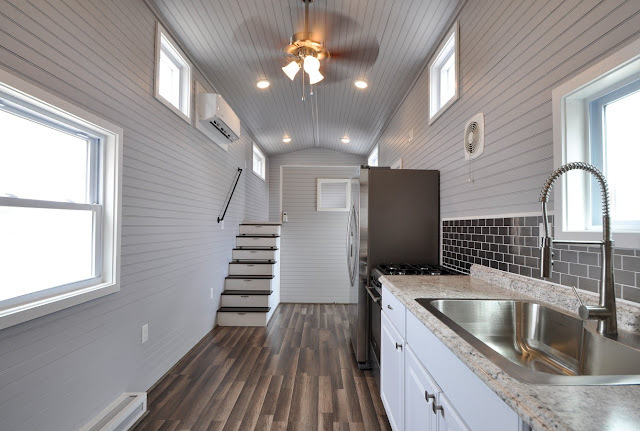 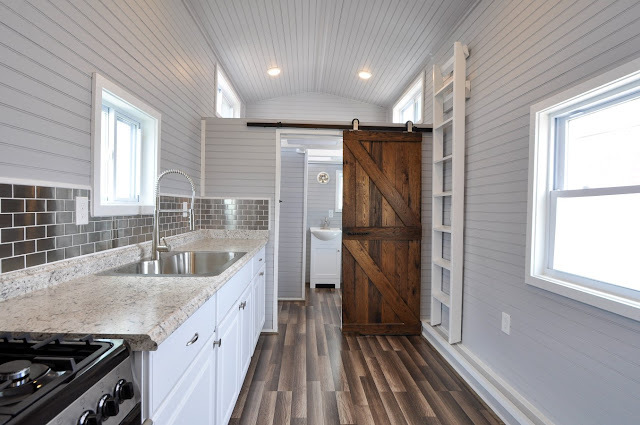 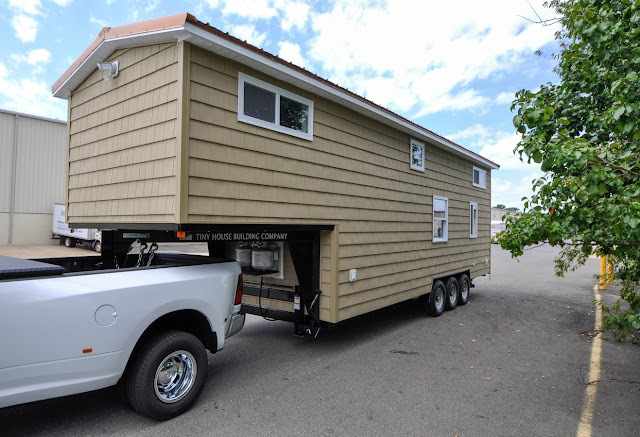 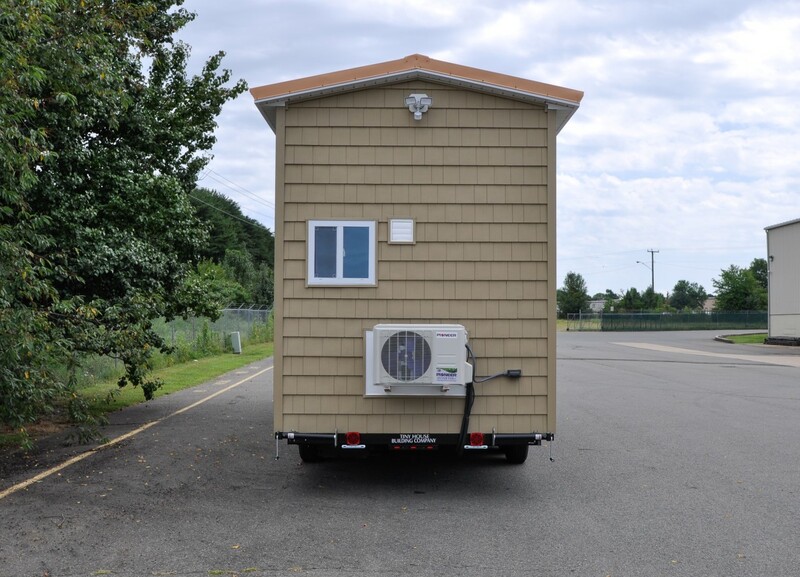 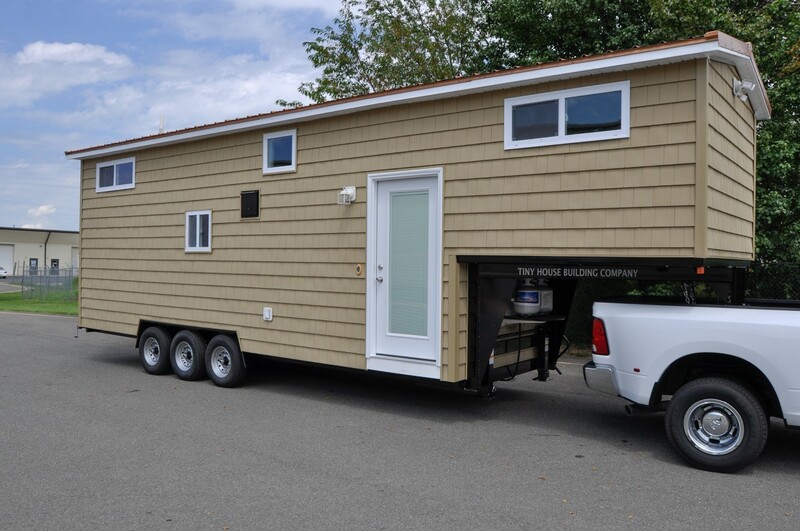 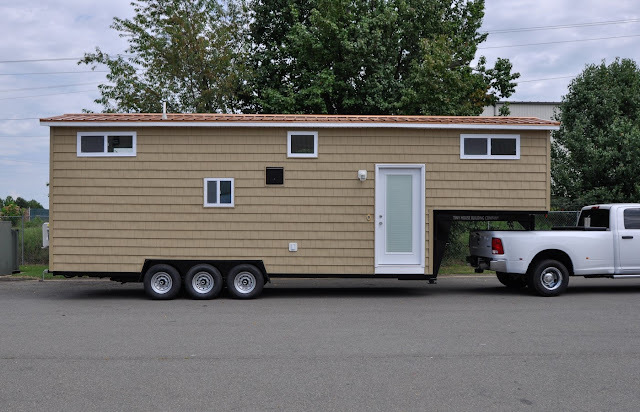 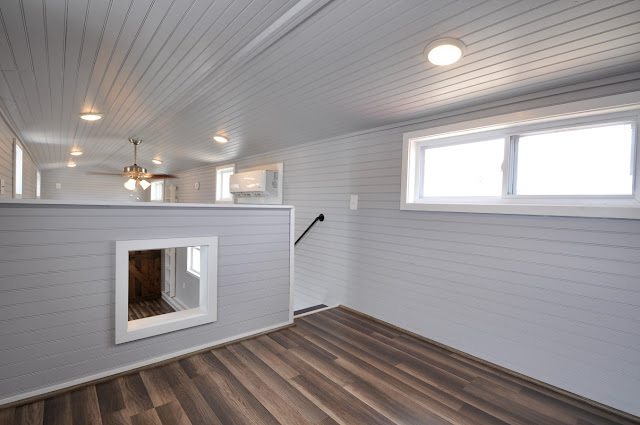 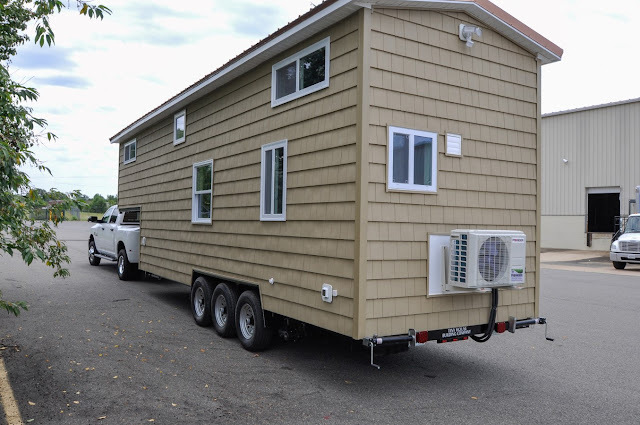 From Tiny House Building Company (THBC) is this beautiful tiny home built onto a 34' gooseneck trailer. 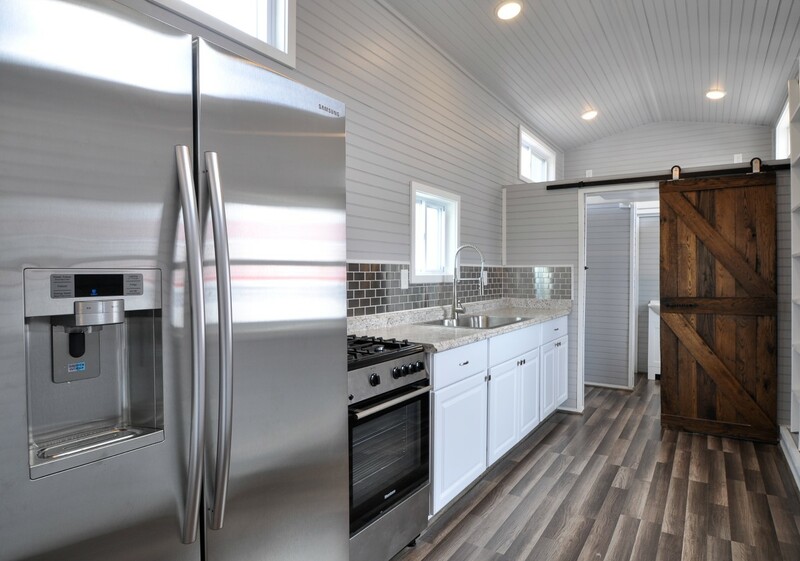 Named "Brooke", the home is a step up from THBC's "Kate" model and absolutely beautiful! 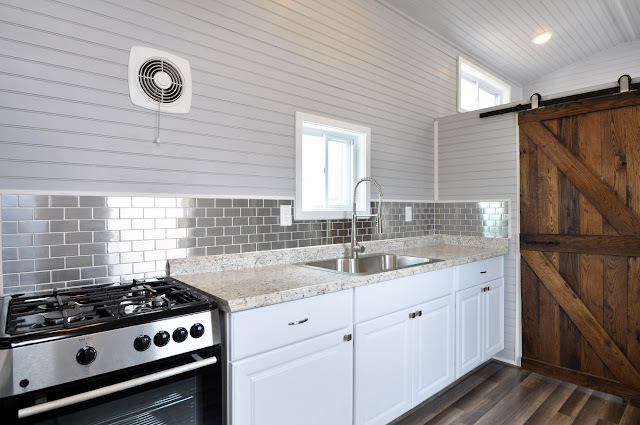 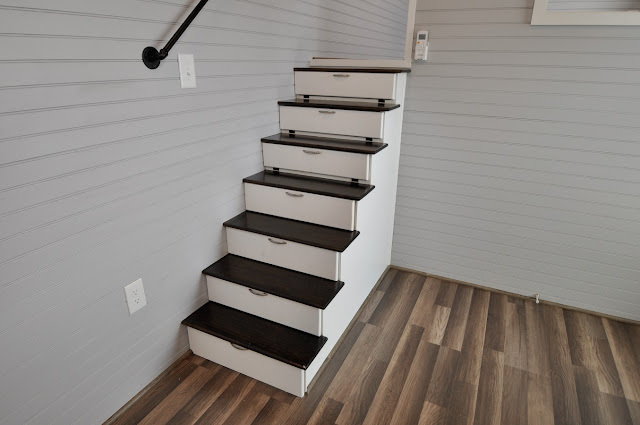 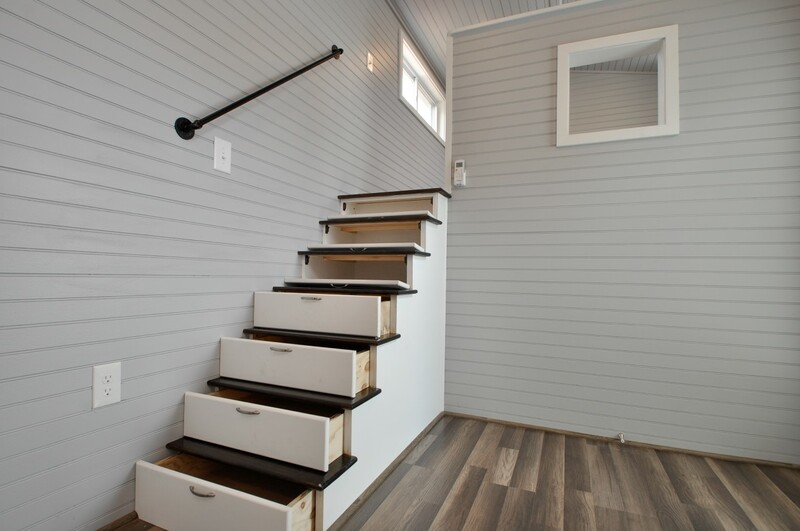 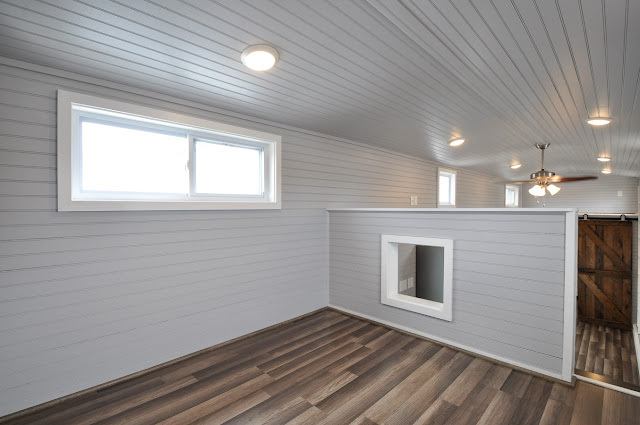 The 340 sq ft home features laminate wood flooring throughout and a functional layout. 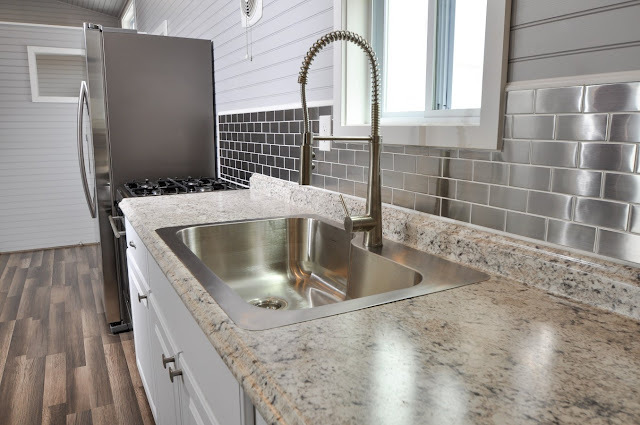 The kitchen comes outfitted with a full-sized LED fridge with a water/ice dispenser on the exterior, a large custom sink, laminate countertops, a propane cooktop and oven, a stainless steel backsplash, custom cabinets, and an exhaust fan. 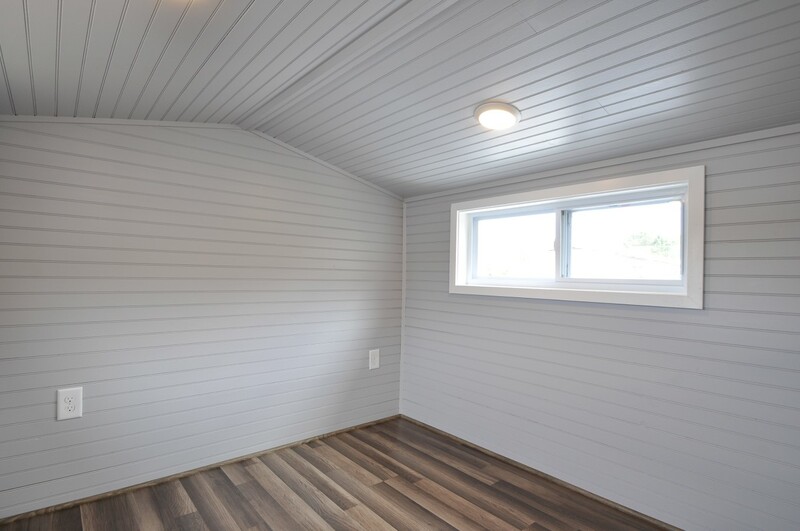 The master bedroom is located in the gooseneck of the home and is large enough to fit a king-sized bed. There's also a second king-sized loft over the bathroom that's accessed by a moveable ladder. 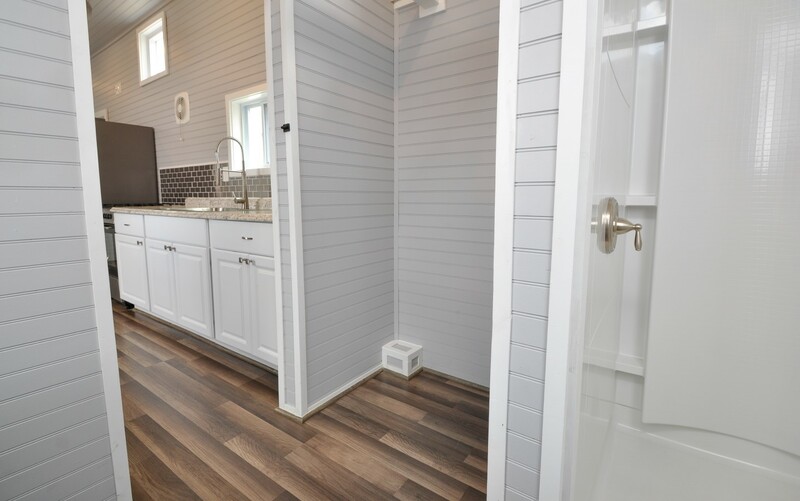 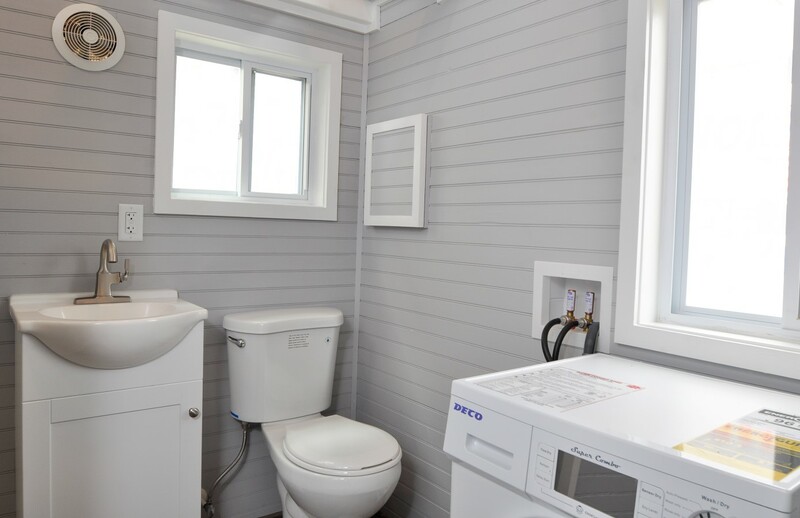 Also inside the home, through a custom barn door, is the home's bathroom/laundry room. 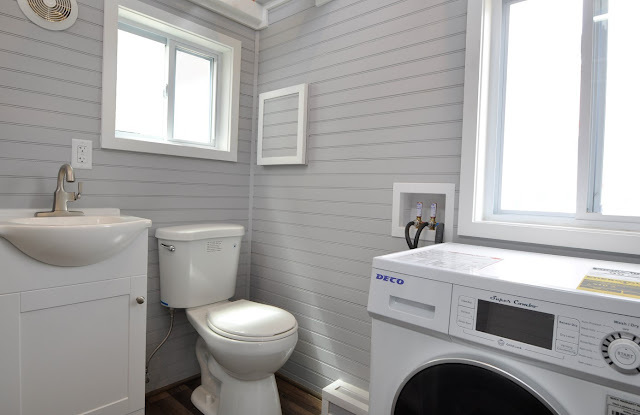 Inside is a large closet, washer/dryer combination, a standard household toilet, a 36" x 36" shower, and a vanity over the sink. 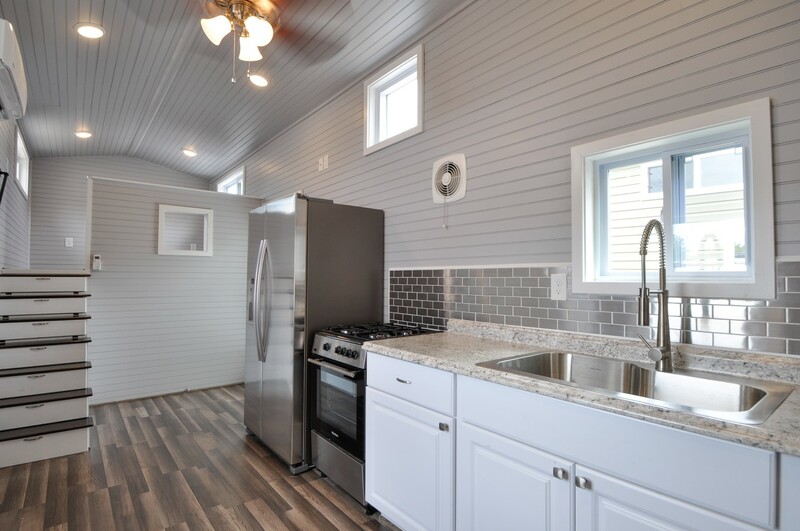 For more information and/or inquiries on this home, contact THBC here!